Type 2 Diabetes and Artificially Sweetened Soft Drinks: Is There a Link? One of the biggest problems in caring for children with type 1 and type 2 diabetes is diet. Clearly, diet is a significant component in the management of all forms of diabetes and the relationship among medication (oral or insulin), exercise, and diet help determine the success of blood glucose control. One also must consider the intersection of diet, exercise, and medication — the “black box” of the person with diabetes, which includes the unique set of emotions and hormones that contribute to the rise and fall of blood sugars. When attempting to manage diabetes, the only variables that may be manipulated are diet, exercise, and medication. Discussion of diet, especially with children and adolescents, is fraught with emotional overlay. Food is intricately related to customs, celebration, and family life. Because of the need to avoid unnecessary carbohydrates, we often recommend artificial sweeteners to fill the void. I am constantly warning patients about the dangers of sugar-sweetened soft drinks. These dangers include weight gain and hyperglycemia. I admonish my patients to purchase diet soft drinks — if they must drink soft drinks. I also recommend sports drinks with the lowest amount of carbs available. While queuing up at the cafeteria register last week with my lunch and diet soda in hand, a colleague (bariatric surgeon) commented on the fact that diet soda could increase my risk of developing diabetes. I, therefore, went to the source to obtain the evidenced based research. In a study published by Fagherazzi, Vilier, Saes Sartorelli, et. al, in The American Journal of Clinical Nutrition, "Consumption of artificially and sugar-sweetened beverages and incident type 2 diabetes in the Etude Epidemiologique aupres des femmes de la Mutuelle Generale de l'education Nationale" European Prospective Investigation into Cancer and Nutrition cohort (Am J Clin Nutr March 2013 vol. 97 no. 3 517-523), the authors note the association of artificially sweetened beverages with an increased risk of type 2 diabetes. It has already been demonstrated through evidenced-based literature that sugar-sweetened beverages are indeed associated with an increased risk of type 2 diabetes. The authors were interested in the association of artificially sweetened beverages and the risk of diabetes. They looked at the association between women who self-reported drinking sugar-sweetened, artificially sweetened, fruit juice consumption and the risk of type 2 diabetes during a 14-year follow-up in the French prospective study described above. According to the authors, 66,118 women participated in the study starting in 1993. 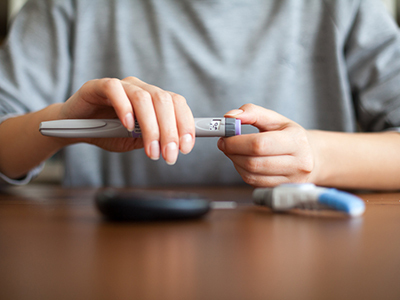 A total of 1,369 new cases of type 2 diabetes were diagnosed during the follow-up period. Statistical analysis revealed that the average consumption of sweetened beverages consumed by the women were 328 and 568 ml/week (10.9 oz and 18.9 oz) for sugar sweetened and artificially sweetened beverages, respectively. According to the authors, compared to woman who did not consume these beverages, the women in the “highest quartiles” of sugar sweetened and artificially sweetened beverages were at increased risk of type 2 diabetes for women who consumed more than 359 ml (12 oz) and more than 603 ml (20.1 oz)/week of sugar sweetened beverages and artificially sweetened beverages, respectively. Positive trends of increased diabetes risk were noted for both types of beverages (p=0.0088 (sugar sweetened) and p<0.0001 (artificially sweetened). There was no association observed for 100 percent fruit juice consumption. What did the authors conclude? Both sugar-sweetened and artificially sweetened beverage consumption were associated with increased type 2 Diabetes risk. The conundrum still remains about association versus causality. The fact that both sugar-sweetened and artificially sweetened beverages are correlated to an increased risk of type 2 diabetes does not imply that they cause diabetes. Keep in mind that the authors could not control for many other variables that may have played a role in the study. Clearly more prospective evidenced-based studies will need to be conducted to denote causality. I now pass up both sugar-sweetened and artificially sweetened beverages and stick to bottled water. Here are some questions you might have about non-injectables with the answers you need. Fran Cogen, M.D., C.D.E., is the director of the Childhood and Adolescent Diabetes Program at Children’s National Health System. She wrote about diabetes for HealthCentral.